Marion’s Theme, from Raiders of the Lost Ark, is one of composer John Williams’ most classic love themes. I think it’s second only to Williams’ Han and Leia from Star Wars. You can check out that arrangement here. 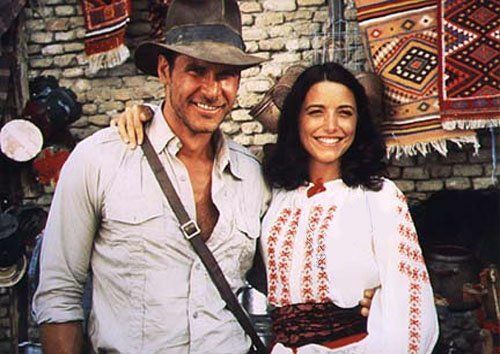 The score for Raiders of the Lost Ark, and the subsequent Indiana Jones movies, is one of my childhood favorites. The nexus of John Williams and Steven Spielberg created truly everlasting music. I created a Modern Classic category to archive my guitar arrangements like these and others. In there you’ll also find music from: Legends of the Fall, A River Runs Through It, Glory, Gladiator, Dances With Wolves, and more. For Marion’s Theme I used my Cordoba GK Studio guitar. This is my best and most even sounding guitar. If you’ve followed my blog for a while, you’ve realized that this is the one I use in most of my videos. I tried to keep Marion’s Theme as simple as possible. This is not an exact interpretation, but a new arrangement I developed. I wanted to play the main melody far more often than is played in the original — so I took cues from the original — but ultimately created my own unique arrangement. For as complicated as it may look, the tab is simple and short; only two pages long. You’ll play the guitar tab straight through without repeats, then (as instructed in the guitar tab) you’ll repeat section #1 found in the [brackets]. The you’ll play the End section found at the bottom of page two.